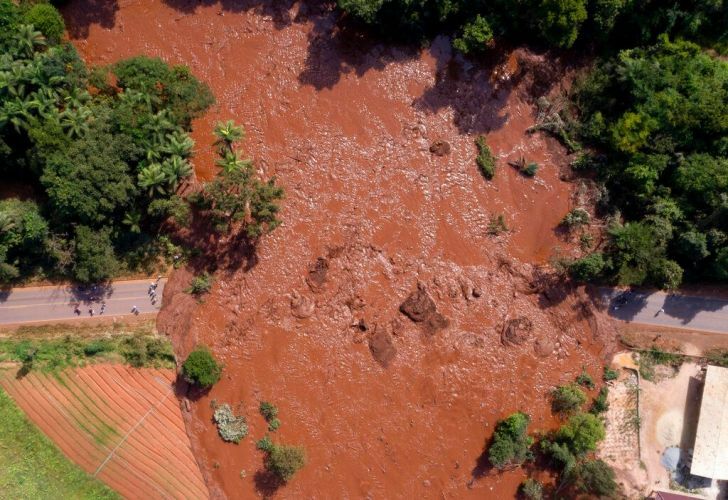 A dam in Brazil that held back mining waste collapsed Friday, inundating a nearby community in reddish-brown sludge and leaving an estimated 200 people missing, authorities and the mining company said. The flow of waste reached the nearby community of Vila Ferteco, and an administrative office for Brazilian mining company Vale SA, where employees were present, which "indicated the possibility of victims," the company said in a statement. President Jair Bolsonaro sent tweets and spoke about the accident, saying he lamented it and that he was sending the three cabinet ministers to the area.